Mount Shinmoedake, a volcano standing on the border between Miyazaki and Kagoshima prefectures in Kyushu, appears to have erupted, the Japan Meteorological Agency announced on March 1. It is the first sign of volcanic activity at the 1,421-meter peak since Oct. 17 last year. The volcano's threat level remains at 3, restricting access to the mountain. 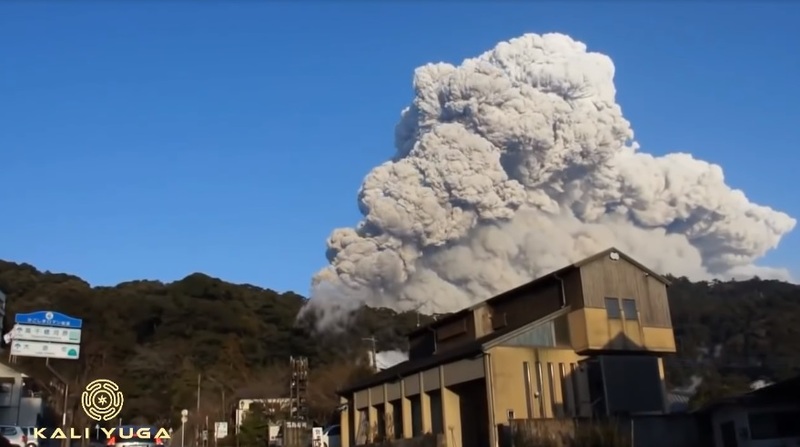 The weather agency said it received a report from the Miyazaki Prefecture town of Takaharu that ash had fallen. The agency has not confirmed a volcanic plume, and there are no reports that anyone has been injured. However, officials have warned of the possibility of cinders falling within an approximately 2-kilometre radius of the volcano's crater, and of pyroclastic flows reaching an area within a 1-kilometre radius. Japan has 110 active volcanoes and monitors 47 of them around the clock. In September 2014, 63 people were killed on Mount Ontake, the worst volcanic toll in Japan for nearly 90 years. In January, a member of Japan's military was struck and killed when rocks from a volcanic eruption rained down on skiers at a mountain resort in central Japan.